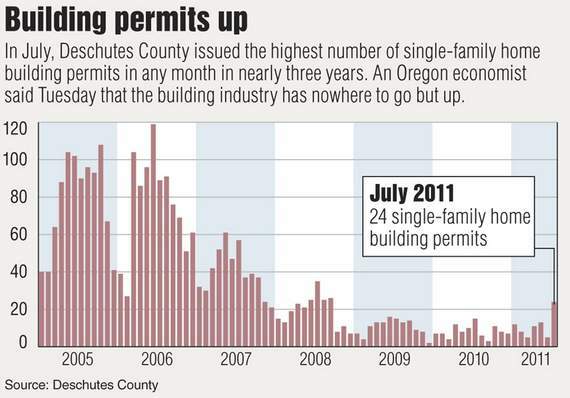 During the long and painful decline in Deschutes County’s construction industry, local officials have learned to treat any positive economic signs with caution. So the news this week that July was the best month for home-building activity in rural county areas in nearly three years got a lukewarm reception. It’s too soon to tell whether the numbers are a fluke, but the city of Bend has noticed an increase in home building for several months. Read the rest of my story here, or check out the AP version on The Register-Guard website.